The Take Two website is a lookbook based concept, which will demonstrate the "before & after" result of the upcycling of used clothing pieces that I will be creating. There are so many little things you can do to help the environment, upcycling being one of the more efficient ways to do so. 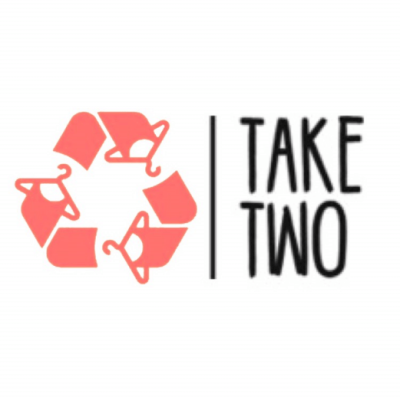 Take Two utilizes fashion and upcycling to bring awareness to the topics of fast fashion and clothing production and the negative effects they can have on the planet. The distribution and production of clothing is one of the largest factors in issues such as pollution, greenhouse gases, and waste accumulation. We have the power to do something about it. You can learn more about these topics and what you can do to help on the 'Stay Informed' page. Taking part in small effortless steps such as keeping your clothing longer, donating pieces you no longer want, or simply making sure that the articles you purchase are ethically sourced and produced can make all the difference. Taking these measures not only helps the environment, but communities everywhere. An article from Sustain Your Style that talks about the impact of fashion on different aspects of the environment and what we can do about it. An article written by Patsy Perry, a senior lecturer in fashion marketing at the University of Manchester. An article written by Shuk-Wah Chung, Content Editor for the Communications Hub at Greenpeace East Asia, an organization that focuses on defending the natural world and environment, and promoting peace. A Planet Aid blog post contributed by Meghan Stripe, an environmental advocacy researcher, and writer within the fashion industry. An upload from The Huffington Post written by environmental scientist-in-training, Sam Williams. A short informative video by VICE News.